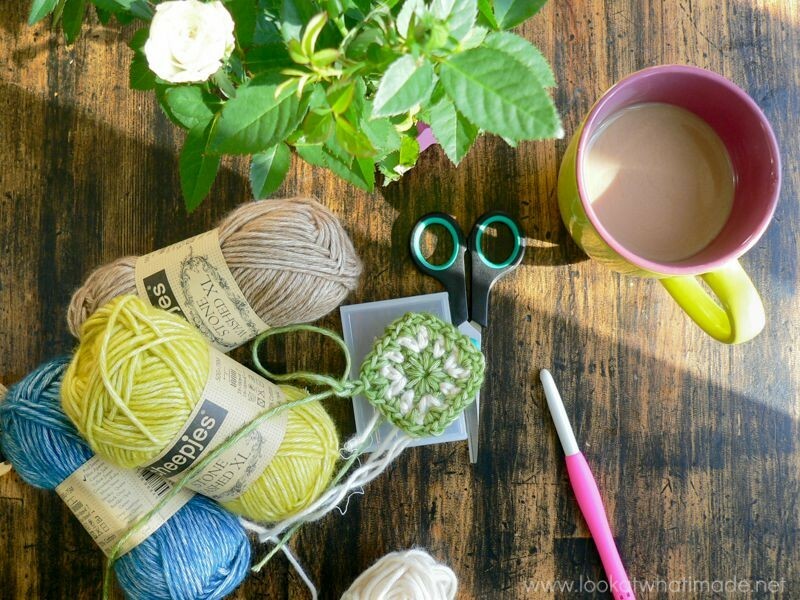 Last week I shared the beginnings of a new project with you. This week I am going to give you a sneak peek of my work in progress. 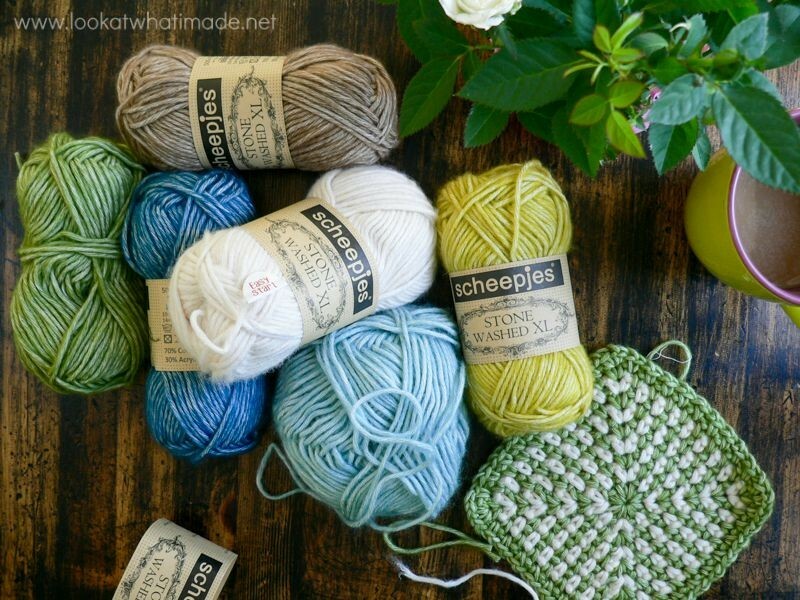 The pattern will be made up of linen stitch squares, using Scheepjes Stonewashed XL in 6 colours (you can read more about that HERE). Although the final item will be quite small (lapghan size), it is quite manly, so I am going to call it a ‘Manghan’. Those of you who follow me on Instagram will remember this photo I posted a while ago. Up until that point I had been alternating colours differently on each square. The minute I tried the one-round-per-colour version, though, I was smitten. 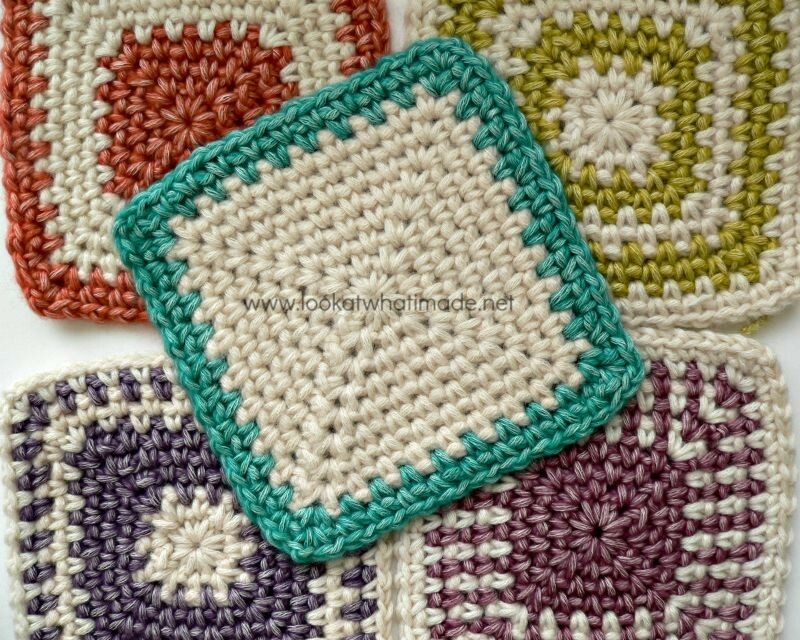 The manghan will be made up of thirty-five 14 cm (5/5″) squares, with a simple border to finish it off. These squares grow quite quickly, so this is not a very time-intensive project. 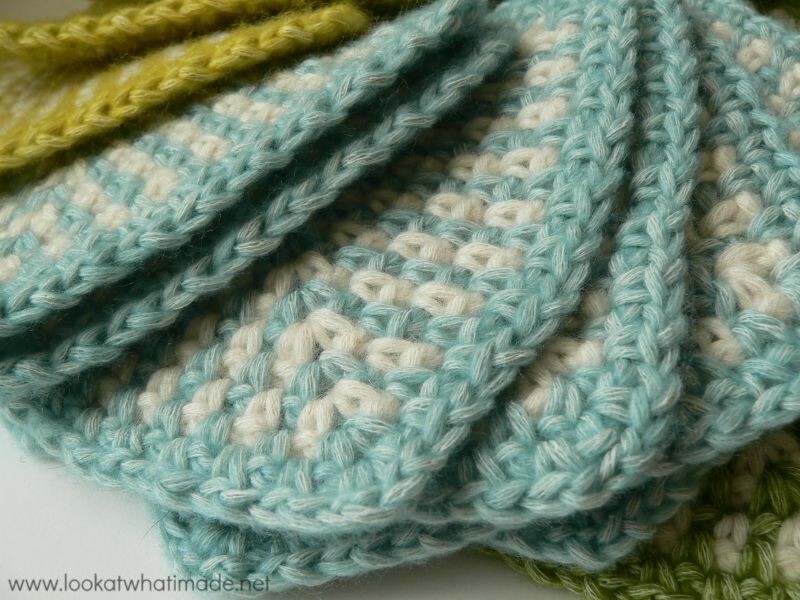 My very first designs were made with the linen stitch, and to this day it is still one of my favourite stitches. 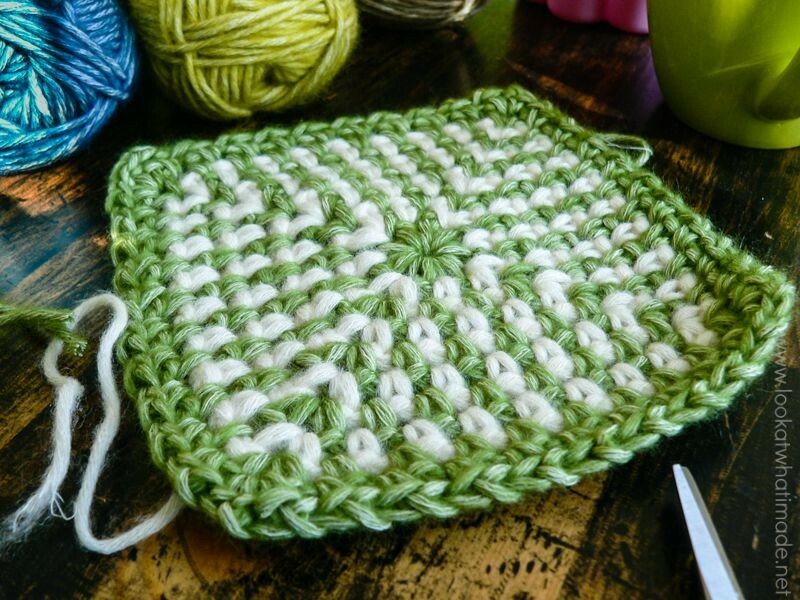 For this design I will be sticking with 2 colours per square, and I have devised a nifty little way to ensure that I only have 4 tails of yarn to work away for each square. I hope to see you back here next week, when I will be sharing the pattern for the linen stitch Manghan. 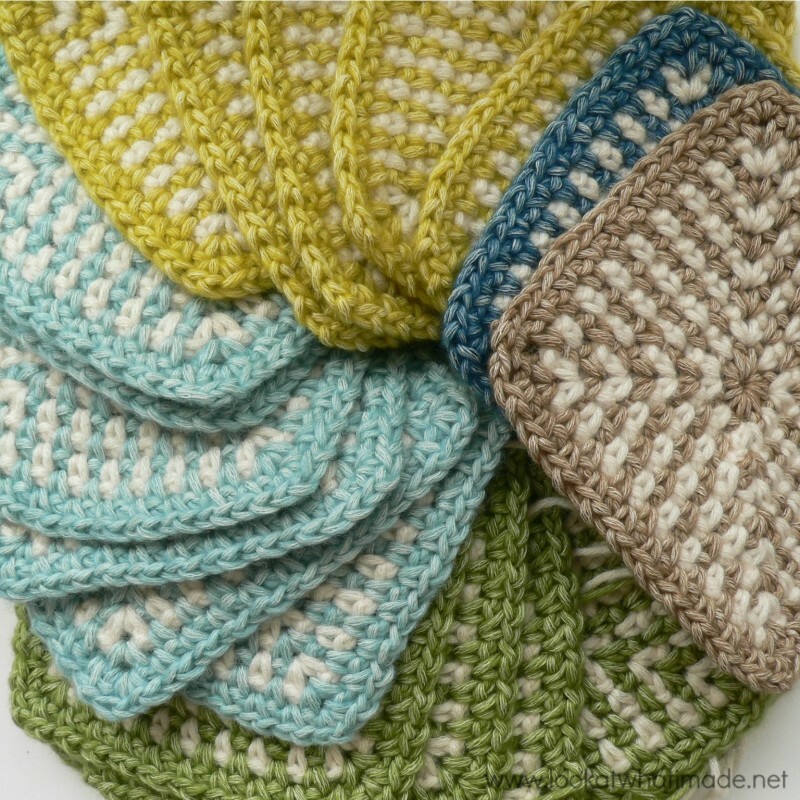 Is it possible to see what the alternative Persian Tiles color way looks like? Alberto, are you referring to Janie Crow’s Persian Tile blanket? I was just about to ask if you were able to carry the yarn so you didn’t have tons of tails to weave. So, are you going to share the “nifty little way” you devised? ?